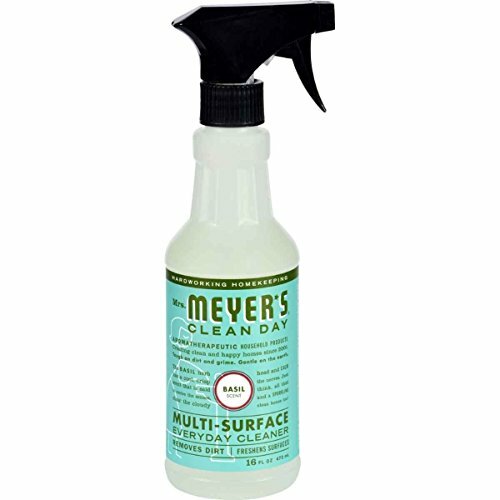 Mrs. Meyer's Clean Day Basil Multi-Surface Everyday Cleaner takes the basic formula of our All Purpose Cleaner and adds a special Vegetable Protein Extract, a naturally fresh way getting rid of kitchen messes and bathroom odors. Combines garden-fresh scent with plant-derived ingredients and essential oils. Great on all non-porous surfaces such as finished wood and tile floors, countertops, walls, porcelain, bathroom fixtures, sealed natural and synthetic stone, and more. Made in the USA.